The golfers played Lahinch on Thursday while the women explored The Burren, a wildly surrealistic landscape dotted with an abundance of limestone outcroppings. 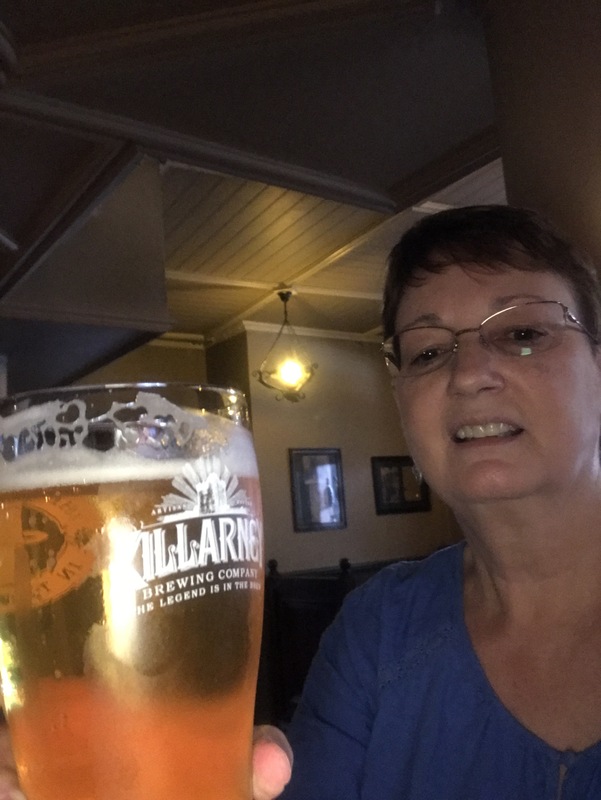 I celebrated surviving the journey into the natural beauty of Ireland with an O’Hara’s pale ale at a pub in Ballyvaughn. This was a terrific beer with a bit of a bite, and I enjoyed every drop. 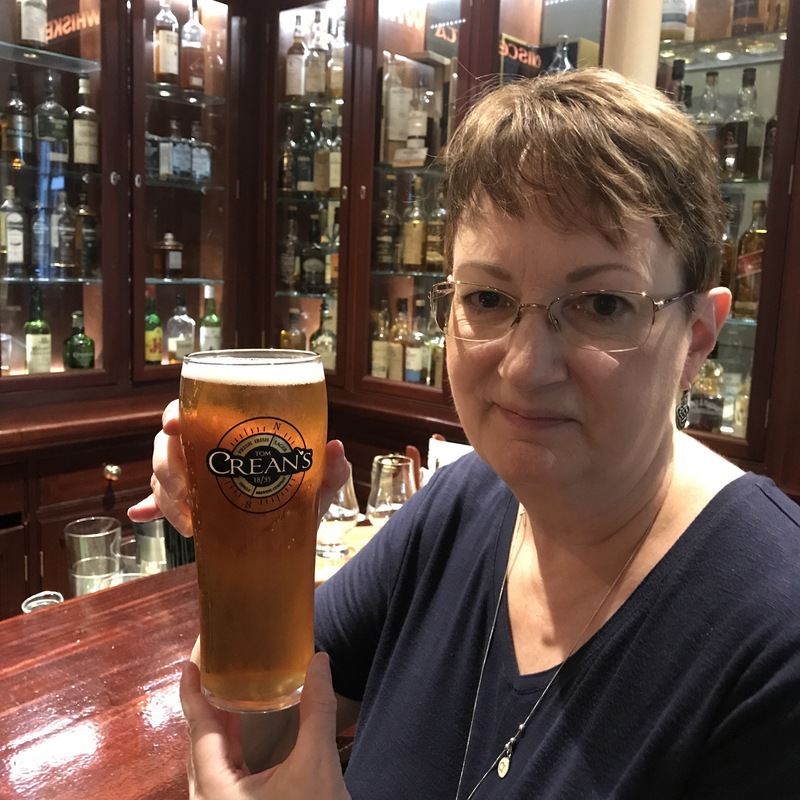 It was a fine beer to enjoy on my last full day in Ireland. 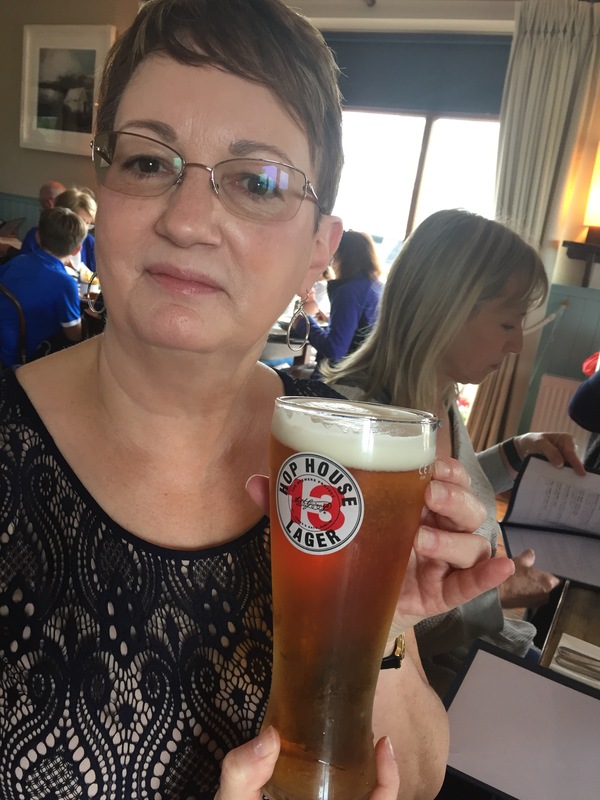 The Hop House Lager 13 I drank at Morrisey’s Pub in Doonbeg on Wednesday night didn’t thrill me. It wasn’t awful, but I had no desire to order a second pint. So I ordered a dessert with eclairs, ice cream, and chocolate sauce. It was amazing. 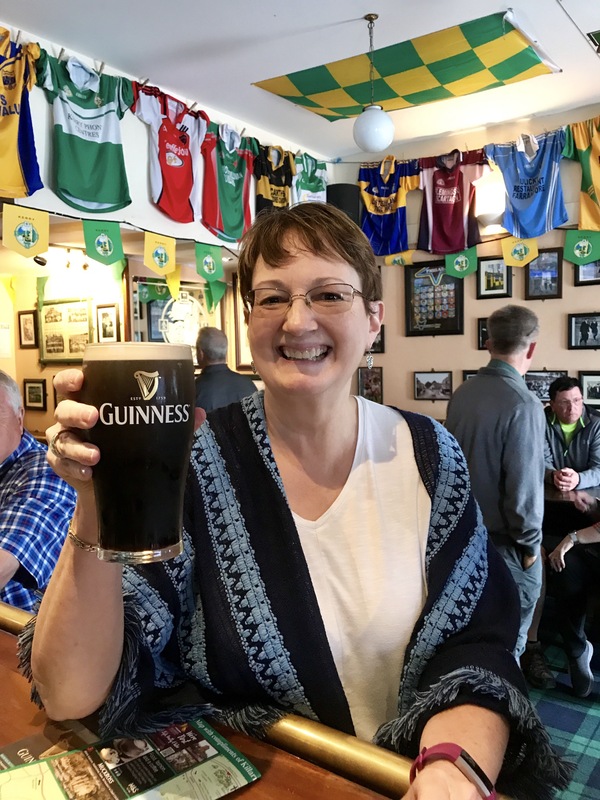 Life in Ireland is pretty sweet. Shall I offer a toast? 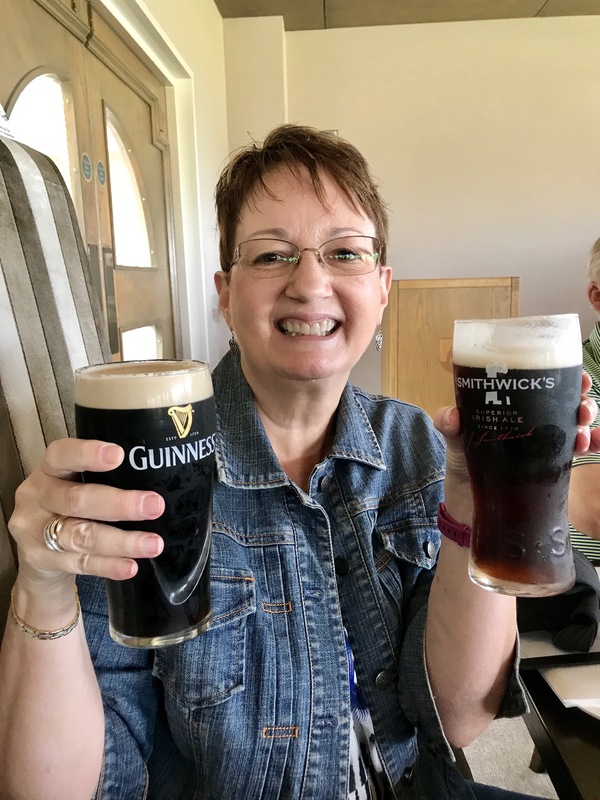 I didn’t plan to blog a beer a day, but it’s been one of the most enjoyable parts of my trip to Ireland. Trust me, I’m no beer expert, and I can’t pick a favorite, but that’s not going to prevent me from continuing the search. It might be just my imagination, but I believe the bartenders’ faces light up when I ask about their local brews. I’ve yet to be disappointed in their offerings. Last night was our first in a new hotel. 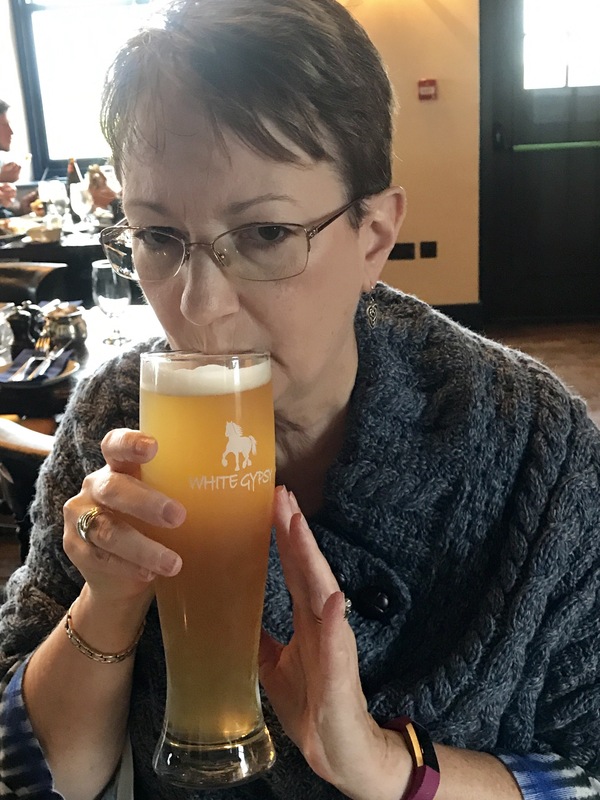 We’re at Doonbeg in County Clare, so I ordered one of their two locally produced beers at dinner last evening: White Gypsy Blond, a German Hefeweizen beer by White Gypsy (Shelta Beer Co), a brewery in Tipperary. It was an easy beer to enjoy, and I might have had a second glass just to be sure I liked it as much as I thought I did. 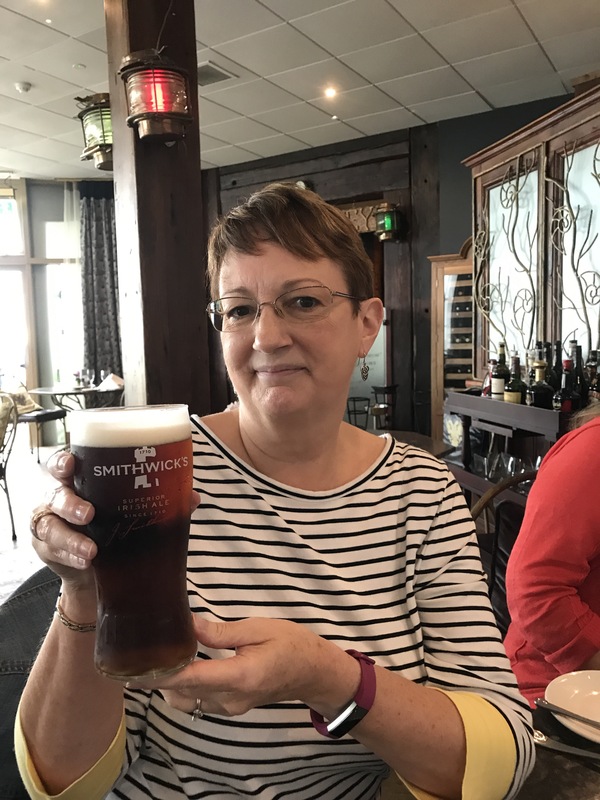 Another fine Irish brew, Smithwick’s, or “Smitticks,” as the locals say, was my pick on the fourth day of our trip. 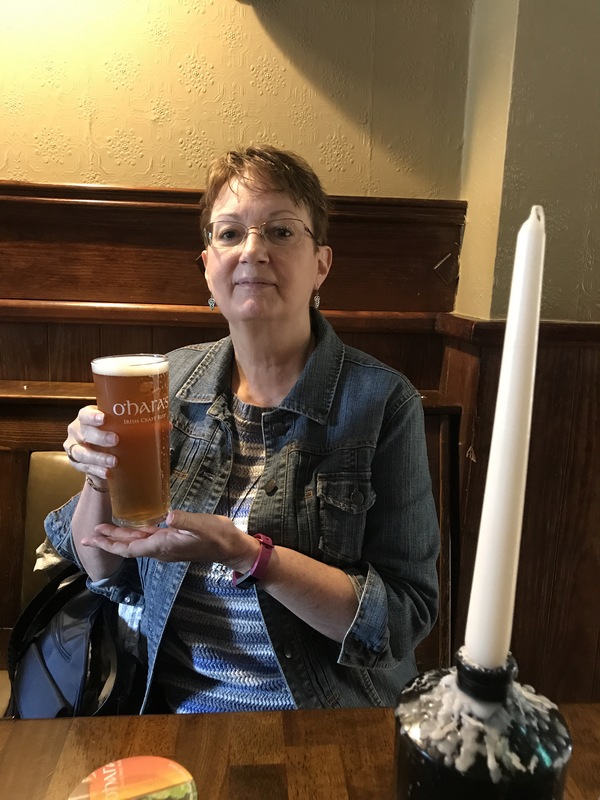 This pint was touted as being the finest in the land by the waiter who took my order. I impressed him with my spot on pronunciation, and told him that beer had become my second language. I’m starting to worry about my own! 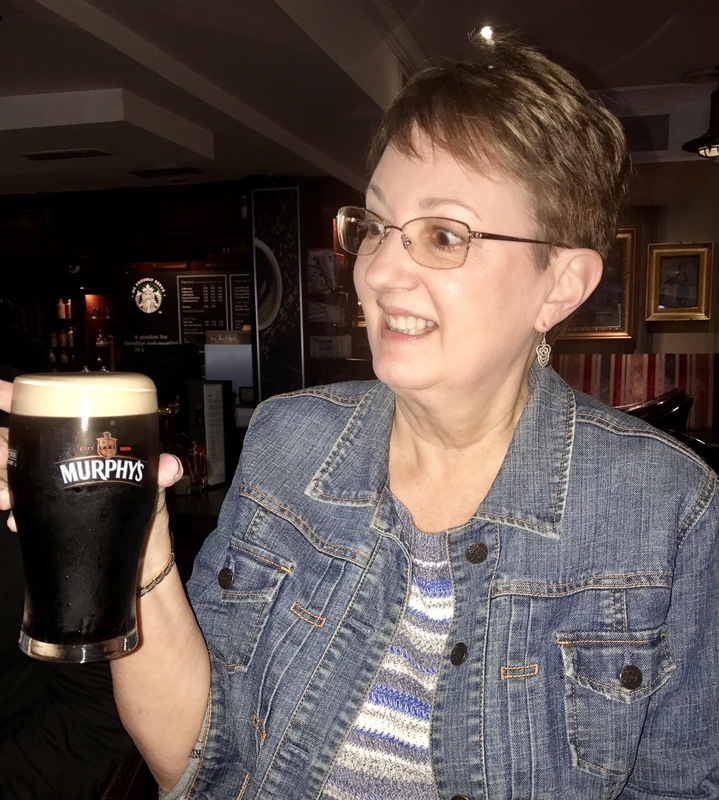 On the third day, let there be Murphy’s! I thoroughly enjoyed this beer. 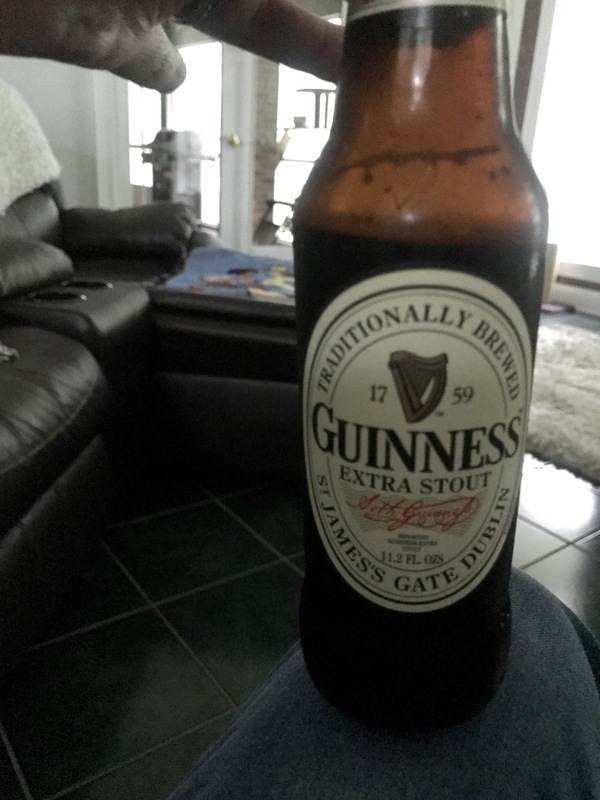 It’s got a bit of a sweet taste compared to Guinness, and went down velvety smooth.